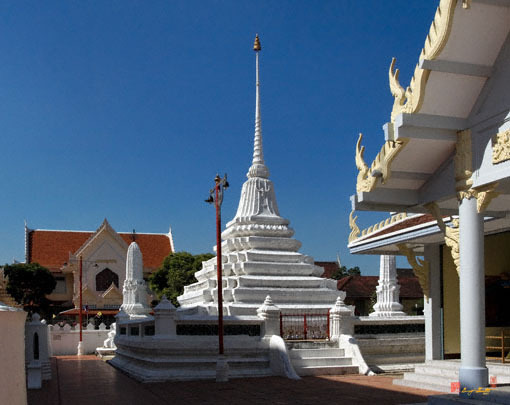 Wat Thong Nopphakhun, วัดทองนพคุณ, is an old monastery whose exact origin is unknown. 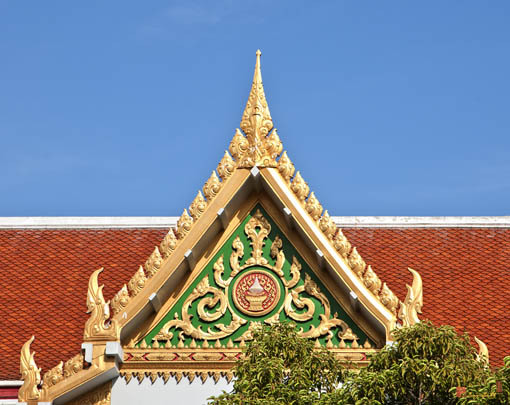 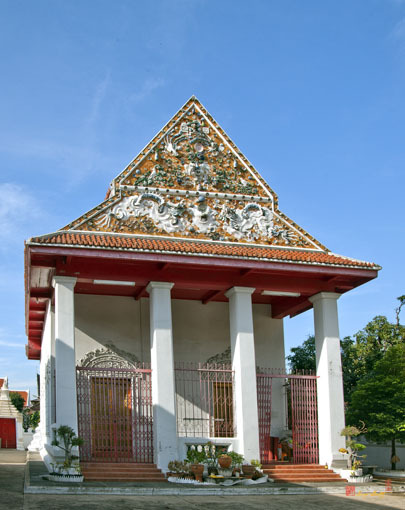 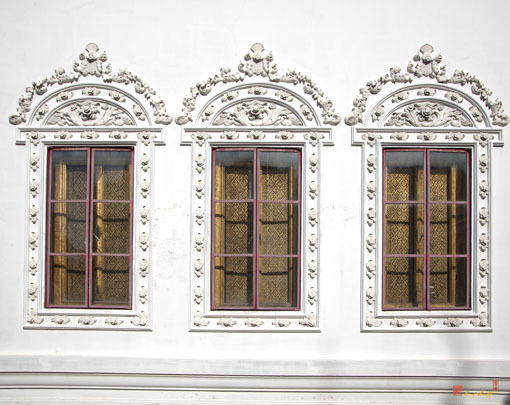 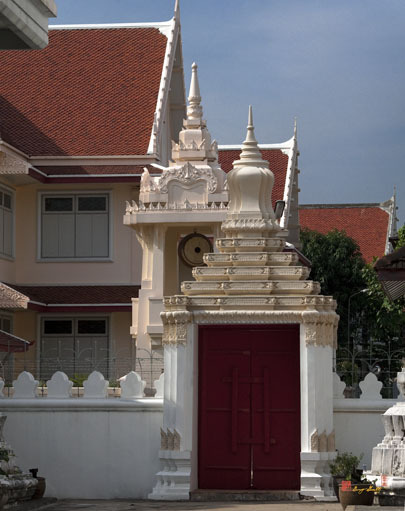 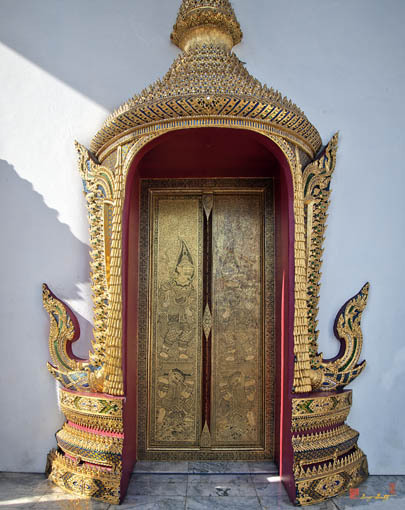 This community temple was restored by a Chinese millionaire and a nobleman, Phraya Chodokratchasetthi (Thongchin Krairoek). 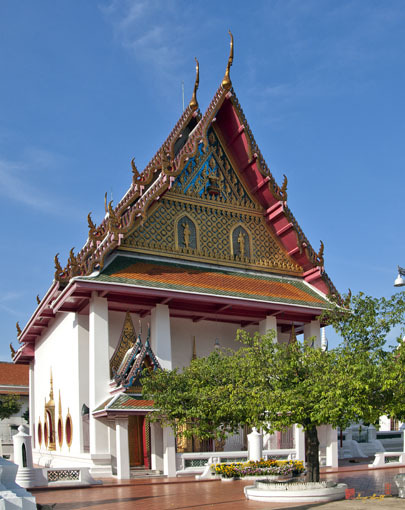 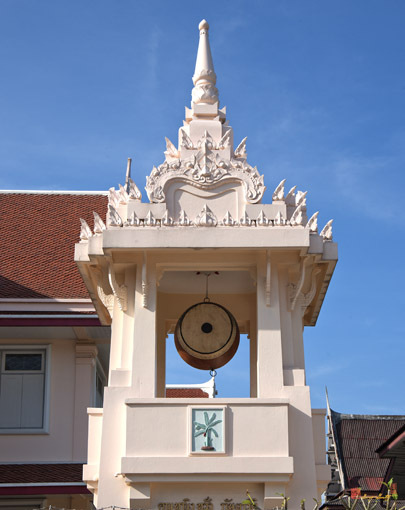 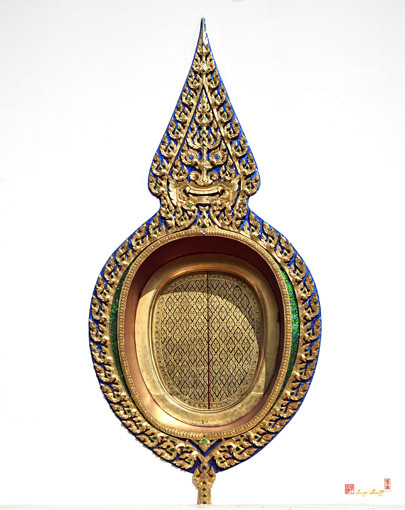 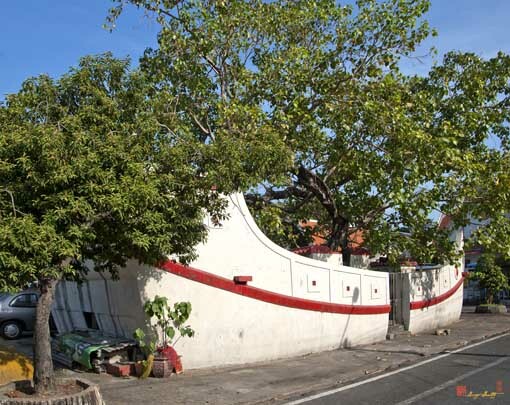 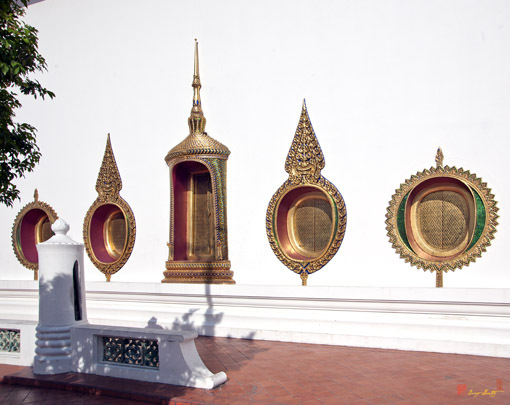 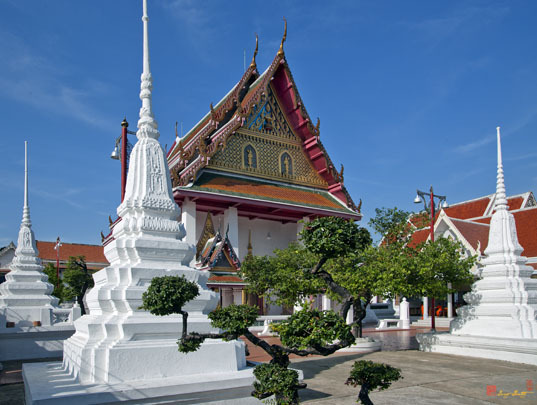 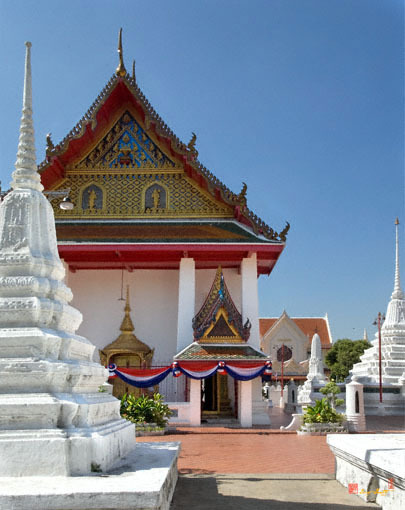 The wat was named a royal temple by King Rama III (1824-1851). 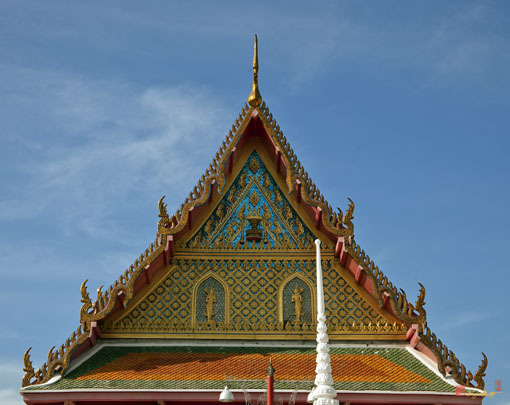 Its principal Buddha image in the Ordination Hall (Ubosot), in the Subduing Mara mudra, is made of stucco and belongs to the Bangkok art style. 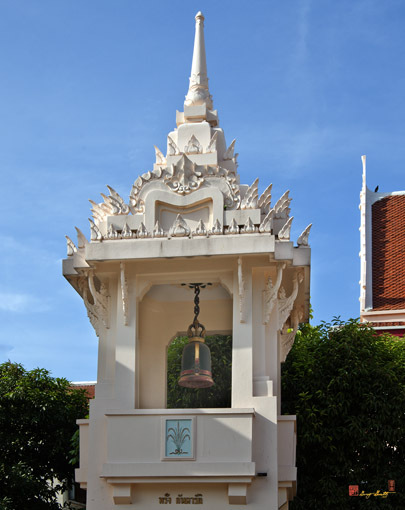 The name of the Buddha image is not known. 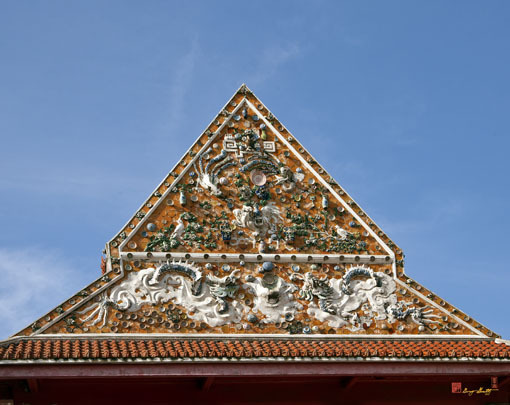 Within the Ubosot, there is a mural depicting Phra Vessanadorn Jataka, the last part of the Ten Lives of the Buddha Episodes. 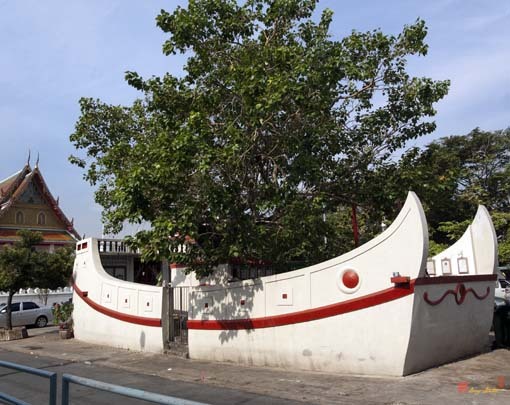 There is also a replica of a Chinese Junk in the monastery complex. 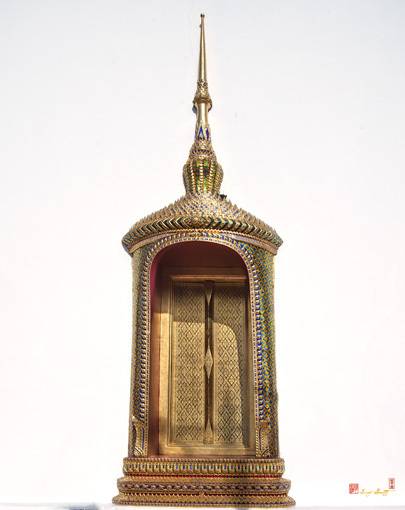 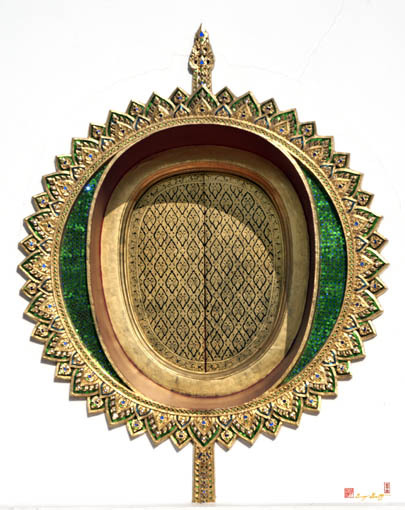 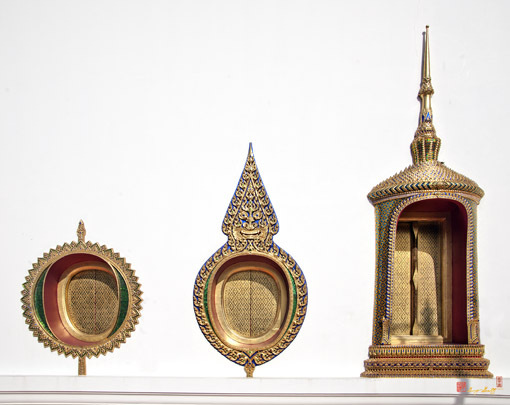 It was a gift to the abbot of the time from a merchant whose life was saved by the monk during a shipwreck at sea. 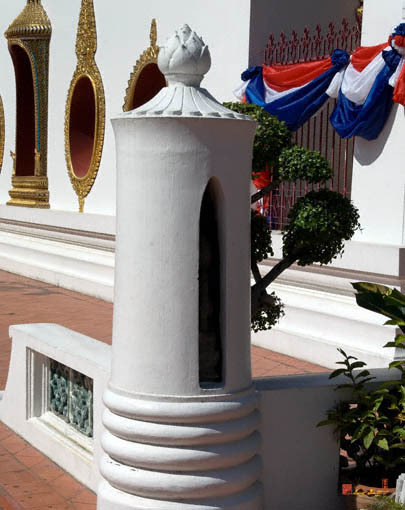 The Boundary stone housings surrounding the Ubosot are very unusual in that they are cylindrical structures with just two small slits through which the Boundary stones may be seen.